A man was seriously injured after a motorcycle and a deer were involved in crash along a Horsham road. Emergency services were called to Kerves Lane following the collision at about 7.50am this morning (February 6). The scene at Kerves Lane. Photo: Horsham Police. Police said the man riding the motorcycle was treated at the scene for serious injuries before being taken to the Royal Sussex County Hospital in Brighton for further checks. His injuries are not thought to be life threatening. Officers said the deer was ‘put down humanely’ at the scene. 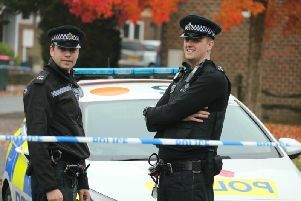 The road was closed for an hour-and-a-half between the junctions of Coltstaple Lane and A281 Brighton Road. It has since re-opened.